In what has seemed like a snap of the fingers, Justin Bonomo has charged all the way up the all-time tournament money list to take over the #1 spot. Daniel Negreanu. Phil Ivey. Erik Seidel. Phil Hellmuth. As of this moment, they are all sitting and looking up at Justin Bonomo on the all-time money list. Bonomo, who is only just 32 years of age and likely has decades of high level play in front of him, is the king of the poker world. As of this moment, Bonomo has $42,979,591 in total lifetime live tournament cashes, which puts him roughly $3.3 million ahead of Daniel Negreanu. Erik Seidel sits over $8 million back of Bonomo in third place, while the hard charging Fedor Holz is roughly $10 million behind Bonomo in fourth place. Entering 2018, Bonomo had less than $20 million in total lifetime tournament cashes and was well behind the likes of Negreanu and Seidel. Over the past six months, however, Bonomo has gone on the run of a lifetime, adding roughly $25 million to his haul of cashes. This includes a first place finish in the 2018 Big One for One Drop event, which saw Bonomo outlast Fedor Holz to take down a payday of $10 million. 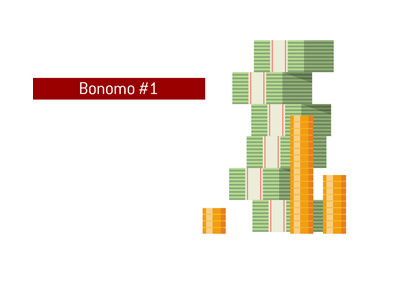 This $10 million cash vaulted Bonomo past both Negreanu and Seidel to land at the top of the all-time money list. Since the start of 2018, Justin Bonomo has too many six figure cashes to list and four million dollar plus cashes. Bonomo started off his year by finishing in second place in the $100k Super High Roller event at the Pokerstars Caribbean Adventure for $1,077,800. In the second half of March, Bonomo would strike for over seven figures once again when he won the Super High Roller Bowl China event for nearly $5 million. Shortly before the World Series of Poker officially got underway, Bonomo took down the Super High Roller Bowl in Las Vegas for $5 million. Finally, to nicely bookend the World Series of Poker, Bonomo would win the Big One for One Drop for $10 million. Justin Bonomo's career has taken a very interesting journey throughout the years. Bonomo burst onto the online poker scene shortly after the "poker boom" got underway, quickly making a name for himself as one of the top young players in the world. Bonomo would then tarnish his name after being busted for multi-accounting online and was subsequently banned from multiple sites. The man formerly known as "Zeejustin" would work for years to repair his reputation, eventually establishing himself as one of the top live tournament players. Now, thanks in large part to his performance in 2018, Bonomo is a certain first-ballot Hall of Famer eight years from now, when he becomes eligible for the Poker Hall of Fame.